But for those who can quickly get ‘templed-out’, there are wonderful distractions. There are small former colonial enclaves along the Coromandel Coast like Pondicherry and Tranquebar, where time stands still. Close to Madurai, discover the grand kitschy mansions and lip-smacking food of the Chettiars in Karaikudi. Kerala – it is hard not to be mesmerised by this incredible sliver of peninsular Southern India. Warm tropical monsoon winds from the Indian Ocean have both blessed this region with incredible beauty and natural wealth, and also brought with it a variety of historical and religious influences that have left an indelible mark on Kerala’s art, architecture, people, cuisine and lifestyle. The stunning landscapes of Kerala are all around us. Languid, emerald green backwaters of Central Kerala in Alleppey and Kumarakom, fringed by coconut palms, beckon you into a converted rice barge-turned-houseboat. Nature enthusiasts, birders and wildlife photographers flock to the moist tropical rainforests of Wayanad and Thekkady with its wealth of hidden wildlife. And foodies chase down secret recipes in homestays and plantation retreats set in the tea-carpeted and spice-laden hills of the Malabar (from the Dravidian word, Male, meaning mountain). If you need to feel more connected to Kerala and its legacy, then there is so much more. Witness age-old Hindu cultural traditions such as Kathakali, Kalaripayattu and Theyyam, in Cochin and the North, where you come face to face with great masters. Admire the history and royal patronage of the Travancore kings in Trivandrum and Thuckalay. And immerse yourself with local communities who preserve and protect ancient traditions and lifestyles in today’s rapidly changing world. Discover the hidden side of Kerala and find joy on your Malabar journey with Milesworth. Anchoring the southern section of the Deccan Plateau in India, the province of Karnataka is a lovely mix of everything one expects in an India holiday. It is blessed with everything - urban hip in Bangalore, glittering palaces and forts scattered like pearls from its north to south, and national parks that encompass the Western Ghats. These lush green-clad mountain range runs north to south along its western perimeter, separating pristine beaches from the ancient ruins and staggering beauty of the remains of some of India’s most influential empires. Along the eastern slopes of these mountains, early colonial planters took advantage of beautiful conditions to plant coffee, tea and spices. Bangalore is the state’s most popular international gateway, and while famous for being India’s silicon valley, has a sophisticated brew and dining scene. South of here is Mysore, dominated by the walled Maharaja's Palace, a fairy-tale spectacle topped with a shining brass-plated dome. Heading south and west are the Western Ghats, home to some of India’s best preserved tiger reserves at Bandipur and Nagarhole, famous for its easily spotted herds of Indian elephant. In the picturesque hills of Coorg, filled with spice and coffee plantations, this is a an ideal area for gentle forest and hill treks, along riverbanks and paddy fields. In the north, the ancient Hoysala capitals of Belur and Halebid showcase some of the best temple sculpture anywhere in India. 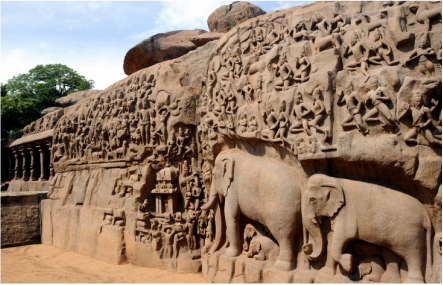 Also a must do is the evocative ruin of Hampi, perhaps India’s own Angkor. But there are no mysteries here - a 250 year reign of the Vijaynagar Empire and its end caused Hampi to lapse into decline and abandonment. And on the west coast edging the Arabian Sea are some of the quietest beaches in India - perfect for yoga, surfing and delicious Konkan sea-food. Maldives? Mauritius? The Indian Ocean is ‘so last year’! For the ultimate island retreat the Andaman Islands in the Bay of Bengal are truly unrivalled. Long stretches of sandy beaches, clear blue waters full of spectacular aquatic life and swimming elephants. Discover the island’s delights before the rest of the world does. Lush tropical forests, crystal clear waters and some of the best beaches in the world – it is no wonder that the Andaman and Nicobar islands are known as “India’s best kept secret”. Situated 1,000km east of India in the Bay of Bengal, 572 islands comprise the territory, of which only 38 are inhabited. During colonial times the islands were used as a penal colony. Today, far from a place of punishment, the Andaman Islands are a paradise waiting to be discovered. Due to their geographical isolation, these islands support a vast array of endemic species of flora and fauna. Spending the day sunning yourself on Beach No. 7, Havelock Island. Ubiquitously named after a long-gone timber logging camp, this is Asia's best beach according to Time Magazine. Its two miles of a gradual crescent shaped cove with pristine white soft sand fronted by a warm, gradually sloping sandy seafloor that has no rocks, gentle waves, and perfect for swimming with the family. In the background, a blanket of tropical coastal rainforest as far as the eye can see - no man-made construction, no beach umbrellas and sunbeds, no touts, no tourists!